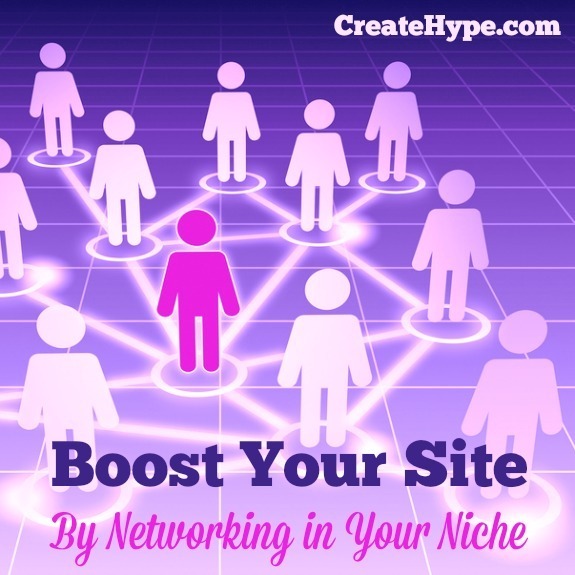 One of the best ways to boost your site is networking in your niche. Look around at other sites with complimentary products or other blogs with topics similar to yours, and begin networking. Initially, it might seem as though you are spending time with competitors, but networking can really help you improve your store or blog… and you might be surprised at how helpful others are. If you really want to bounce ideas off others, and learn valuable tips, it can help to join a mastermind group. These groups can help you learn how to blog more effectively or provide you with tips and advice related to your online store. Additionally, your mastermind group can also be useful in terms of helping you refine your ideas. Networking through these groups can also provide you with opportunities to promote your blog, or launch your product or service. When you release something, your network can become involved, helping you get more publicity through links and newsletters. Your networking can also help you build a community that can help you with your social media promotion and bookmarking votes. Making these connections can really help you improve your blog’s situation. It’s nice when you know that someone has your back, and that you can turn to colleagues to help you improve your site over time. Another great way to network with bloggers in your niche is to attend conferences. One of my favorite conferences is FinCon. FinCon brings together personal finance bloggers from around North America (and the world) and it’s a great way to connect with bloggers who understand where you are coming from. Even if there isn’t a conference in your niche, a larger conference like BlogHer or New Media Expo can still be a good way to network with other bloggers, and meet people you can interact with online. Conferences aren’t the only way to network with others in your niche. You can also attend meetups in your area. If you can’t travel to a conference, look for ways to connect locally with other people. You might be surprised at how many people in your area are doing something similar to you, and connecting with them can be beneficial for your blog or online store. Another benefit of conferences and meetups is that you can also network with those running affiliate programs. Networking in person with affiliate program managers can help you learn about various money-making opportunities for your site. Of course Steve from My Wife Quit Her Job had a different take on my affiliate networking! Partnerships: You can partner on web sites, ebooks, and other projects with the people you meet through networking. More contacts: It’s also possible to use networking as a way to widen your contact base. People you network with can connect you with others who might want to work with you — or hire you. Other opportunities: From access to domains for sale to client leads, to other gigs, it’s possible to use networking to learn about available opportunities, as well as take advantage of who you know. Of course, you do need to make sure that you are giving as much as you are getting. Remember that what goes around, comes around. You need to offer help to others, even as they offer help to you.